Yeah ... that "remove before flight" shirt always gets an eye roll from me. I am bummed they don't have Mooney gear. I had to buy some patches and get the local tailor to put them on a jacket for me. 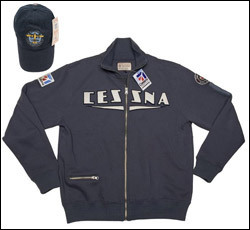 That Cessna jacket is great.